Our horses are the backbone the programs at Robinson Ranch. We need trained, caring individuals to assist in the care and handling of our horses. Want to be involved with our horses? Then this workshop is for you! (Required for Special Olympics Volunteers). Caring for our horses is an essential part of the program at Robinson Ranch. As a Horse Handler you will be responsible for haltering and leading horses between paddocks, grooming the horse, tacking the horse up for lessons, and making our horses feel loved and appreciated. Some experience with horses is necessary. 10:30 Skills testing to certify as a Horse Handler. You will be tested on the skills practiced in the training class. Horse Leaders focus on the horse, leading and controlling the horse in the lesson. The Leader must also be aware of the rider, instructor, side-walkers, and any potential hazards in and around the arena. Report any horse related problems to the instructor. 11:30 Skills testing to certify as a Horse Leader. Horse Leader. Knowing how to safely and calmly control a horse from the ground is key. 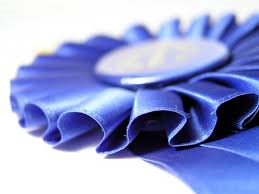 All volunteer positions and certifications follow PATH Int’l core standards and guidelines. The safety of our students, horses and volunteers is paramount and all procedures for handling must follow Robinson Ranch guidelines. 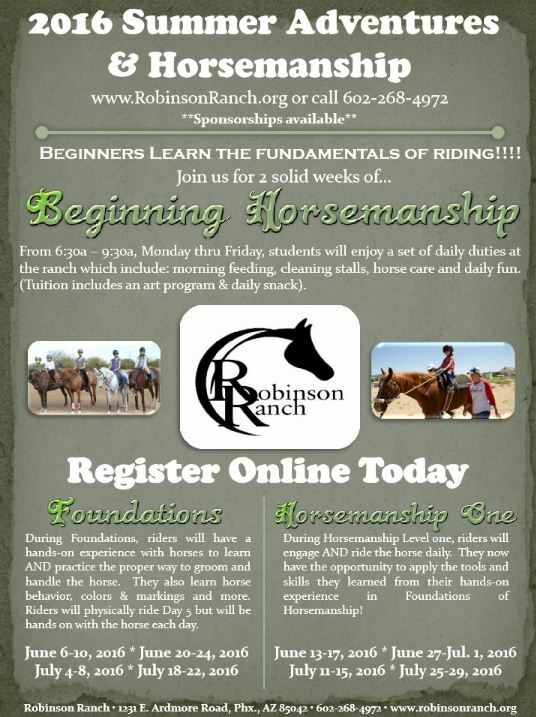 Registar at www.RobinsonRanch.org If you have Questions please contact Robinson Ranch at (602) 268-4972 or E-mail to: virginia@robinsonranchaz.org. Are you a volunteer who would like to assist in lessons?? All lesson volunteers MUST certify as a Side-walker prior to holding any other position. (Required for Special Olympics Volunteers). No horse experience is necessary to be a Side-walker. Side-walkers focus on the rider, listening to the instructor, relaying and interpreting commands to the rider and other support team members as necessary while ensuring the overall safety of rider during mounting and lesson. We will discuss and practice various side-walking techniques. 10:00 Skills testing to certify as a Side-walker. Caring for our horses is an essential part of the program at Robinson Ranch. As a Horse Handler you will be responsible for haltering and leading horses between paddocks, grooming the horse, tacking the horse up for lessons, and making our horses feel loved and appreciated. Experience with horses is necessary. 11:30 Skills testing to certify as a Horse Handler. You will be tested on the skills practiced in the training class. These are Family camps bring everyone! All other Summer Camping trips, Day camps, and away camps that are 1,2, 3 or 5 day horse camping trips either in phoenix or out of town are currently being scheduled. 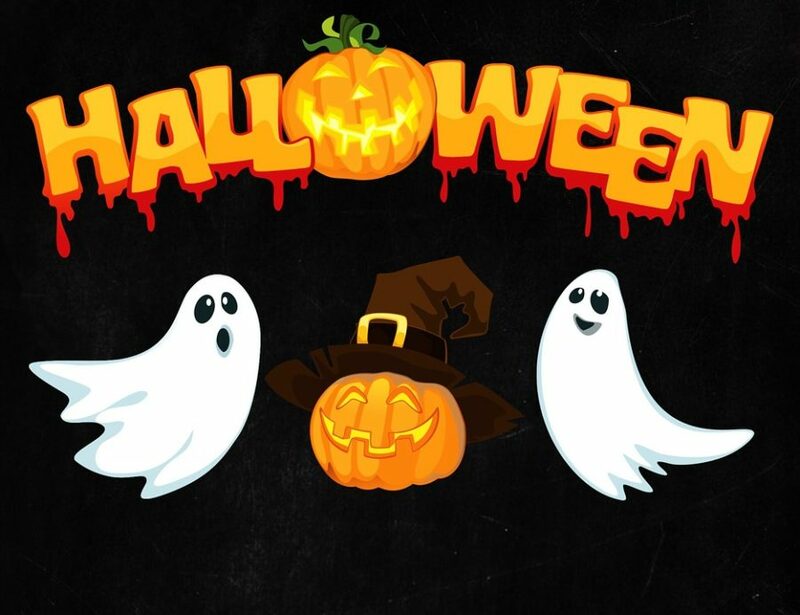 for more Information or call 602/268-4972. Note: You must own or have a leased horse to ride in out of town trips, camps, etc.. but a horse is not required for you to go. Please call the office for leasing information. All shows will continue to be double judged unless notated that it is **triple judged**. Robinson Ranch/Blue Ribbon Horse Shows reserve the right to change Horse Show dates and Camps according to needs, but we will give you plenty of notice by Website, email, Facebook or Twitter. If you are Intermediate 2 or above you can compete.